Microsoft has presented its seventh installment of the Visual Studio Team to Win Award to Riley Motorsports, following the team’s performance in the Mobil 1 SportsCar Grand Prix at Canadian Tire Motorsport Park. The award is given to the team best demonstrating teamwork during each 2014 TUDOR United SportsCar Championship race. Microsoft has presented its seventh installment of the Visual Studio Team to Win Award to Riley Motorsports, following the team’s performance in the Mobil 1 SportsCar Grand Prix at Canadian Tire Motorsport Park. The award is given to the team best demonstrating teamwork during each 2014 TUDOR United SportsCar Championship race. Riley Motorsports was one of three teams nominated for the award, and was declared the winner by the fan voting component of the contest. Visual Studio, Microsoft’s application development software, continues its involvement in motorsports after sponsoring the Grand-Am Rolex Sports Car Series event at Road Atlanta in 2013. 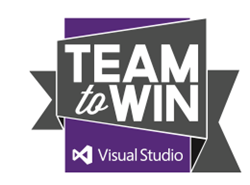 The “Team to Win” theme that reflects the software’s collaborative development focus has found a great analogy in the tremendous teamwork required of world-class sports car racing. Microsoft’s involvement includes a cash prize to be awarded to the leading vote getters following each event. The eighth set of nominees, chosen from the Brickyard Grand Prix, demonstrated exceptional teamwork on one of the world’s most famous circuits. Fans can vote through 12:00 p.m. EDT Friday, August 8, 2014, at http://on.wsj.com/1pweDYg. The winner will be announced at the Continental Tire Road Race Showcase at Road America. Details on the award and on each selected team can also be found at the website.